Few medical interventions have been as successful as vaccines in improving public health. 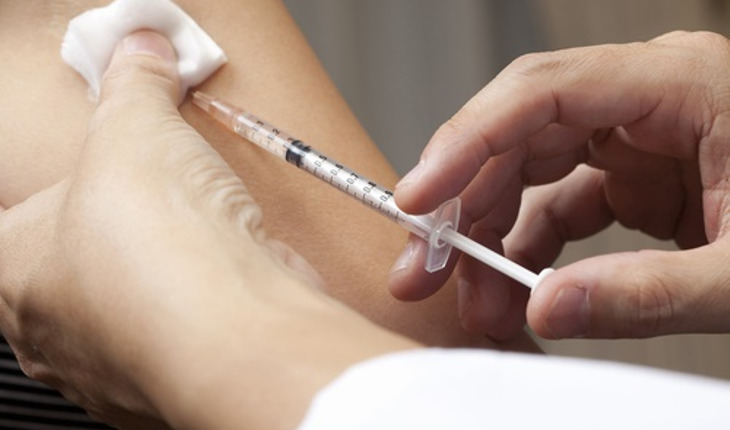 Whether they are childhood vaccinations, vaccines to prevent healthy adults from contracting influenza or the more recent HPV vaccine for adolescents, these preventive methods have resulted in dramatic benefits for individuals and the public. We have only to think of the eradication of smallpox and the virtual eradication of poliomyelitis to see the enormous benefits vaccines can bring. But at what financial cost — now and in the future? The New York Times recently documented what it called the “soaring costs” of vaccines. Noting that vaccination prices have gone from single digits to sometimes triple digits in the past twenty years, the article describes the factors that have led to this unprecedented rise in the retail prices of vaccines. The bottom line on this story is about the bottom line for the pharmaceutical companies that produce the vaccines. They have repeatedly raised the prices of their vaccines, with stark consequences: some children are going without immunizations; some physicians have stopped providing vaccinations to children and adults — all at an unknown risk to public health. Those doctors who do stock the vaccines may suffer financially, especially if they are in solo or small private practices. Those doctors often pay more than large group practices to stock the vaccines, sometimes incurring a loss. When people get sick from preventable diseases, it may well cost more to treat them than it would to prevent their illnesses in the first place; in either case, the pharmaceutical industry benefits. If physicians and patients can’t afford the preventive vaccines, some will, at a future date, be forced to prescribe and pay for medications to treat the diseases that the vaccines are meant to prevent. In some cases, the same pharmaceutical companies manufacture both. The Centers for Disease Control and Prevention list an array of vaccines and their manufacturers. What — if anything — can be done about a situation that forces patients to choose between two undesirable options: risk succumbing to a preventable illness or pay the exorbitant amounts the companies are charging (with huge price variations, as the Times article notes)? Could the federal or state governments take some action to ensure that vaccines remain affordable? A state government solution has been tried for medications. It ultimately failed as a result of political pressure. In 2000, the state of Maine enacted a law to establish maximum retail prices for prescription drugs. The Pharmaceutical Research and Manufacturers of America (PhRMA), a trade group representing the leading drug manufacturers, challenged Maine’s statute in the courts and the Supreme Court upheld the law in 2003. Other states quickly followed with similar laws enacted or proposed, but this effort failed to advance following aggressive lobbying by PhRMA of the U.S. Congress. The result was passage of a law that made it illegal for state governments to run pharmacy benefit managers. Congress sided with the manufacturers rather than permit a mechanism that could benefit the public. Other industrialized countries control the price of drugs intended for their populations. Since most such countries have government-financed healthcare, they may set the sales price of drugs and biologicals and make it illegal to sell the products at any other price. Also, because the governments in such countries are the major purchasers of pharmaceutical products, they may negotiate favorable prices with the manufacturers. The industry and its supporters argue that pharmaceutical companies need to recoup research and development costs in order to continue to innovate and bring new products to market. What they seldom draw attention to are the profits they make by selling their products in the United States at the highest cost in the world. Governments have a responsibility to take all appropriate measures to fulfill the human right to health. As stated in the International Covenant on Economic, Social and Cultural Rights, this is “the right of everyone to the enjoyment of the highest attainable standard of physical and mental health (Article 12).” The United States has signed but never ratified this human rights treaty, so the government is, presumably, not bound by its provisions. However, the U.S does have a governmental body — the Advisory Committee for Immunization Practices — that makes vaccine-specific recommendations for public health. Unfortunately, such recommendations are of no avail when physicians and patients can’t afford to follow them. Beyond policies and treaties, the issue comes down to fairness and public health. Patients are being denied vaccines that can prevent major illnesses and doctors are being denied the opportunity to use all available means to protect their patients. Reprinted with author’s permission. Ruth Macklin is a professor, department of epidemiology and population health, Albert Einstein College of Medicine, Bronx, NY. For more posts from Dr. Macklin and other Einstein staff members, visit The Doctor’s Tablet, http://blogs.einstein.yu.edu/ .